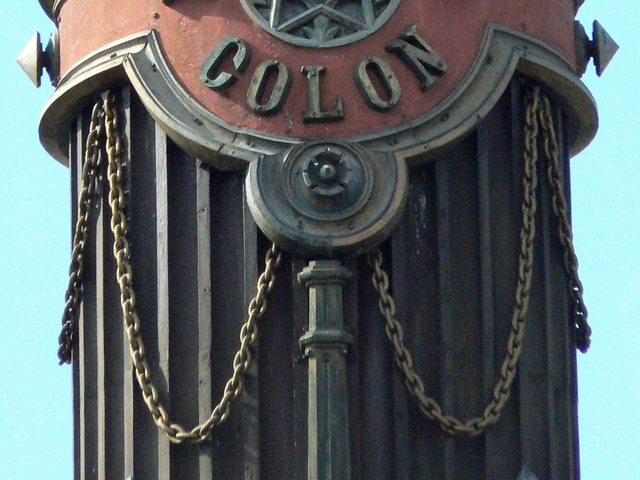 "The 'cigar band' lettering on the Columbus column, end of Las Ramblas, Barcelona. I like the incongruity of the grandeur and the (English) word. Photographed in 2010."